MY COUSIN HAS JUST DIED. IS IT WISE FOR ME TO SORT OUT HER ESTATE? 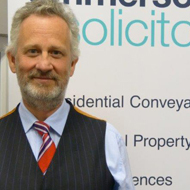 At Emmersons Solicitors Probate Department, we are often contacted by clients whose cousin or second cousin has died. The deceased in these circumstances may not have been married and did not have children, sisters or brothers. Sometimes the cousin had not seen their relative for years and knew very little about their life. It is highly likely that the deceased did not leave a will. Therefore any relative visiting our office would have to decide if they wished to become the Administrator of the deceased’s estate. An Administrator must be appointed as the person applying for probate if there is no will. If there is a will then an Executor will have been appointed and they will apply for probate. If you are applying for probate then there is a lot of onus upon you to do the job right! This is a legal process and you will have to report to various government departments that the information you have given is correct. Let’s consider Erica who died aged 75. She never married and did not have brothers or sisters. Her mother had one sister who predeceased Erica. That sister had two children, Bobby and Kate. Erica lived alone all of her adult life, she wasn’t lonely, she had a huge group of friends. She hadn’t seen Bobby or Kate since she was eighteen. One of Erica’s friends knew that the two cousins existed. She was fortunately able to track them down before the funeral. Imagine if Emmersons Solicitors were instructed by Bobby and Kate. Unless they were solicitors it is possible that they just wouldn’t know where to start. Using examples from some of our more recent cases here are some of the issues that could cause Bobby and Kate problems if one of them tried to become Administrator in these circumstances. This is important because if they get it wrong and distribute the assets from the estate then certain government agencies, creditors and unknown relatives could seek recompense from the Administrator. If other beneficiaries had spent their money by that time then the Administrator would be left to personally compensate the claimant! What if Erica’s mother or aunt had had a child out of wedlock. If that child had not been adopted then they would be entitled to a share in the estate. What if Kate and Bobby simply got it wrong. If the families hadn’t been in touch for years they may not realise that there were also cousins on Erica’s father’s side of the family. They would be equally entitled to the estate. What about the unknown property that Erica owned in Spain, would Kate and Bobby spot the payments going out each year to pay for insurance on that property? Would they know to investigate every single item on a bank statement. Would they go back more than a year to pick up prepayments and thus claim a refund. A huge problem at the moment is the overpayment of state benefits during the deceased’s lifetime. Frequently people like Erica, through no fault of their own, claim benefits to which they are not entitled. This could be because they don’t spend the extra benefits and thus they have so much in savings that they are no longer entitled to them. It could be because they have an old savings policy. They assume it is almost worthless. It is only upon death that the true value becomes evident. Very soon after probate is granted we often receive a letter from the DWP querying the full value of the estate. We are advised not to release monies until the DWP has investigated. Are here’s the rub, it can takes months before we receive a further response. In the meantime the beneficiaries are waiting for their money. There is nothing we can do to speed up this process, it is extremely frustrating. If you were the Administrator would you release monies to the other beneficiaries before you knew how much was owed back to the state? Would they care what happened to you if they had spent their money and now couldn’t repay their share? Could you cope with the angst of this situation? Other issues that may be overlooked could be not having jewellery or paintings valued, thus not declaring the full value of the estate. Not recognising financial documents as being important. Not realising the huge tax implications in respect of money given away by the deceased during their lifetime. The list of issues is endless. 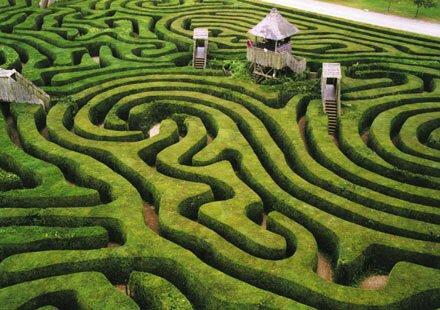 If you think that you can deal with the estate of a distant relative then by all means give it a try. Just remember that the financial buck stops with you if you get it wrong. Do you need your driving licence? Did you know that in the 12 months up to September 2014, 524,877 people were summonsed or charged with motoring offences in this country? Of those 85% were convicted. That is 5 TIMES the current prison population. Thousands of drivers have had their cars towed away and have been charged fines up to £800 after the changes to Road Fund Duty. Most drivers know tax discs are no longer required to be displayed. However many dont know that the car tax is cancelled once a vehicle is transferred to a new owner. The previous owner receives a refund. the new owner might be fined or have the car clamped and towed. From the 8th of June 2015 the paper counterpart of your licence is no longer valid. You will rely upon your photo card only. New penalty points will only be recorded electronically, they will not be printed or written on either the photo card licences or paper driving licences. From this date, if you commit an offence you will still have to pay a fine and submit your licence however how the Court deals with the licence and how DVLA records penalty points is to change. 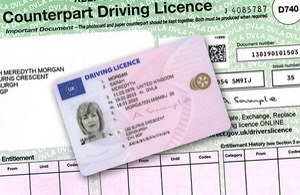 You can access your driving licence information through the website gov.uk. Make sure you read this site BEFORE going on holiday and you have hired a rental car!! At Emmersons Solicitors Motoring Law Department, we have represented hundreds of clients just like you. Nearly all motoring offences are strict liability offences. However, there are technical defences or arguments which can mitigate the seriousness of the situation. You should avoid looking up information on an internet chat room, believing what is written and then trying to present the matter to the court. These are very technical points and a lot is at stake, your job, your business and ultimately your home. Another error people make is to engage an “online motoring law expert” and believe the promise of a guaranteed acquittal whilst also paying a huge fee. There are no guarantees. That said, at Emmersons Solicitors we do achieve a very high acquittal rate.